I’ve never been much of a watch wearer and certainly now-a-days you don’t really need one, not when the time is posted everywhere. BUT…I can’t get the Chanel Premiere watch out of my mind! Not only is it insanely beautiful, yes I have tried it on at the store, but the story behind its design is lovely. The original was launched in 1987 with a chunky gold chain mirroring the iconic bag straps, and an octagonal case inspired by Place Vendome where Coco lived in the Ritz for over 30 years. 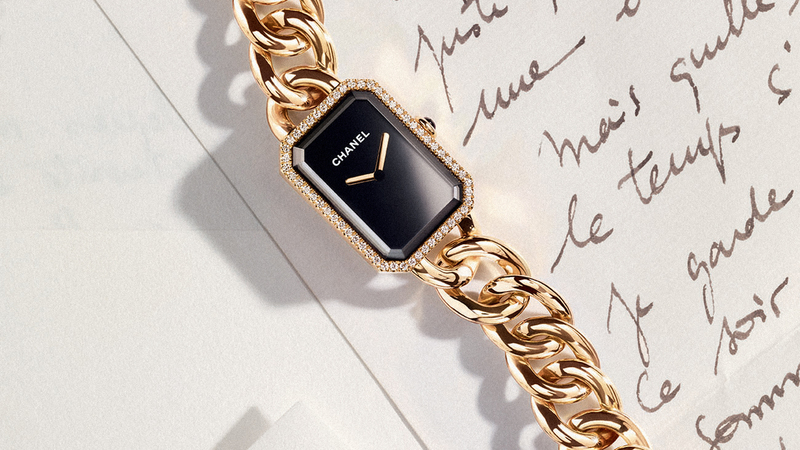 In 2013, Chanel reintroduced this gorgeous timepiece with more delicate chain links and options in gold and diamonds. There is also a smaller size available which is perfect if you have small wrists like me! This is obviously a luxury piece of jewelry as well and one could argue an investment. Although not likely to increase in value over retail price, it could no doubt be sold or traded for a reasonable value if ever needed. Not that one could ever part with it! Below is a photo of Place Vendome whose octagonal shape was so inspiring. 21 Nov	This entry was published on November 21, 2014 at 7:59 am. It’s filed under Style and tagged Chanel Premiere Watch, Iconic Timepiece. Bookmark the permalink. Follow any comments here with the RSS feed for this post.